We are confident our coaching services can save you time and money as you build your business. Our goal is to provide you with the information you need to build a business that does $500k in revenue with the owner paying himself/herself $100k. We also do not want the owner out in the field (unless they want to be) because we will show you how to set your business up to run like a business without the daily involvement of the owner. After working out all of the kinks and overcoming the obstacles in our businesses, we want to help other lawn care and landscaping business owners build their dream business as well. Jim Kruspe is the business coach that works in conjunction with Ryan from Lawn Crack. Jim was Ryan’s business coach for several years and now we are simply friends as we have gotten my lawn care business to where I want it to be. Jim’s advice turned my business around and I am very confident he can do the same for you. He works with lawn care companies from around the country. The most important thing to remember is…you still have to do the work! The initial call is free to determine if we are a good fit for your business. If we agree to work together, we will send a confidentiality agreement stating any information you share with us will solely be used by us to better serve you. Complete our form to provide us with the background information we will need to get a baseline of where your business is and where you want to go. We schedule a half hour long phone calls or video calls weekly to review progress and plan the next steps in your business. We provide email support between calls. The emails all mainly used to clarify your action steps from our calls so you can stay on track. Apart from the calls and emails, we will be providing you with any with connections, services, tools, resources, or information as we dig deeper into your individual circumstances to make sure you have everything you need to be successful. Our fee is $500 per month. You can cancel at any time with a 14-day written notice emailed to Ryan@LawnCrack.com. We want you to succeed and we are happy to help in any way we can. Our time is valuable and it took us years and lots of wasted dollars to accumulate the knowledge we have in the lawn care and landscaping industry. 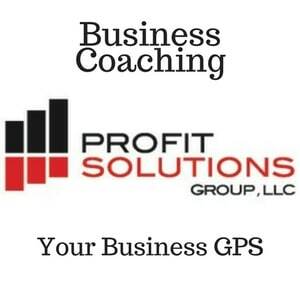 We want to save you this time, money, and frustration by mentoring you and your business with our coaching services.